Hello Beauties! I'm sure by now you've all heard of the French skincare brand, Bioderma, they shot to fame after their famous micellar water became a cult classic, however their skincare range really doesn't get the publicity and credit that it deserves. Sure, their micellar water is amazing, but how often do you hear about their other products? 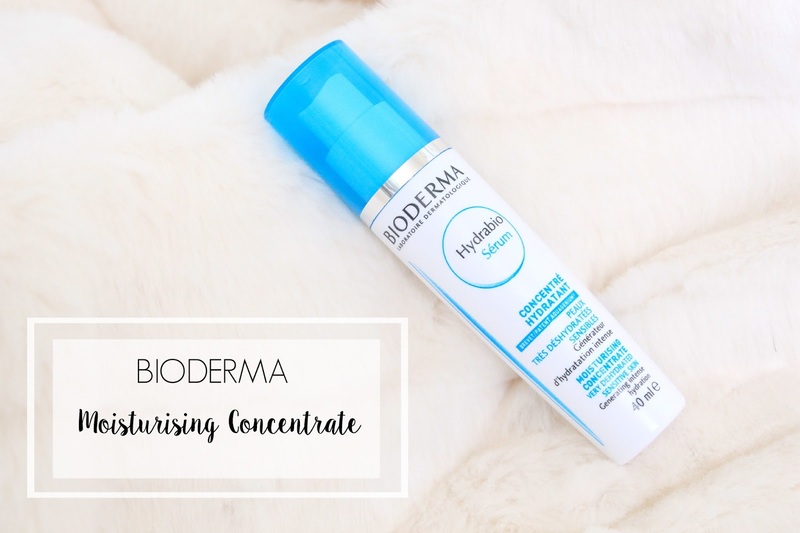 A while back I had a couple of Bioderma mini samples included in my Escenutal order and after trying out a load of different products, I fell in love with the moisturising concentrate from their Hydrabio range and couldn't wait to get my hands on the full size version. I'll go through some of the science-y stuff first and get that out of the way, because while it may be a little boring to talk about, it's also really important (when it's actually true, not just a load of marketing babble!). Bioderma say that this is the first product with Aquagenium, which is a patented biological complex that stimulates the skins cellular capabilities, re-training it to generate in depth, and to lock in on the surface, the moisture essential for its balance. Bioderma also claim that the patented natural D.A.F (Dermatological Advanced Formulation, apparently) complex raises skins tolerance to everyday pollution, stresses and the cold, leaving it intensely hydrated. Now that all of our brain's are suitably fried with all the science babble, I'll get on to the actual review. I know that I talk about my oily skin a lot on this blog, so you're probably wondering why I would need such an intense moisturiser. Well, although my skin is very oily, it's also seriously dehydrated, which then leads to even more oiliness, it really is a viscous circle. The dehydrated side of my skin is something that I've been wanting to tackle for a while now, but finding something that hydrates my skin without breaking me out, irritating my sensitive skin or making me feel like a greasy mess is no mean feat. After trying hundreds of products, I've come to the conclusion that this moisturising concentrate from Bioderma is the only thing that will save my skin. Since using this, my skin has looked better all round. Not only has this product banished that horrible tight feeling that comes with dehydrated skin, but it's also been looking a lot clearer and a lot less oily. I knew that some of my oiliness was coming from the fact that my skin has been dehydrated so I expected this to clear up, but I didn't expect it to also clear up some of my acne, which was clearly being caused by my dehydration to some degree. The moisturising concentrate has a thin, almost gel like consistency, which sinks into the skin immediately without leaving any greasy residue, so it's perfect for oily girls (or guys) like myself who want to hydrate their skin without feeling like they've been deep fried. Overall, I seriously love this product and can see it being a staple in my skincare routine for months, or years, to come. This little product will set you back around £18, which I don't think is a terrible price when you consider how much of an improvement the product makes and compare it to what some brands charge for these kinds of products. 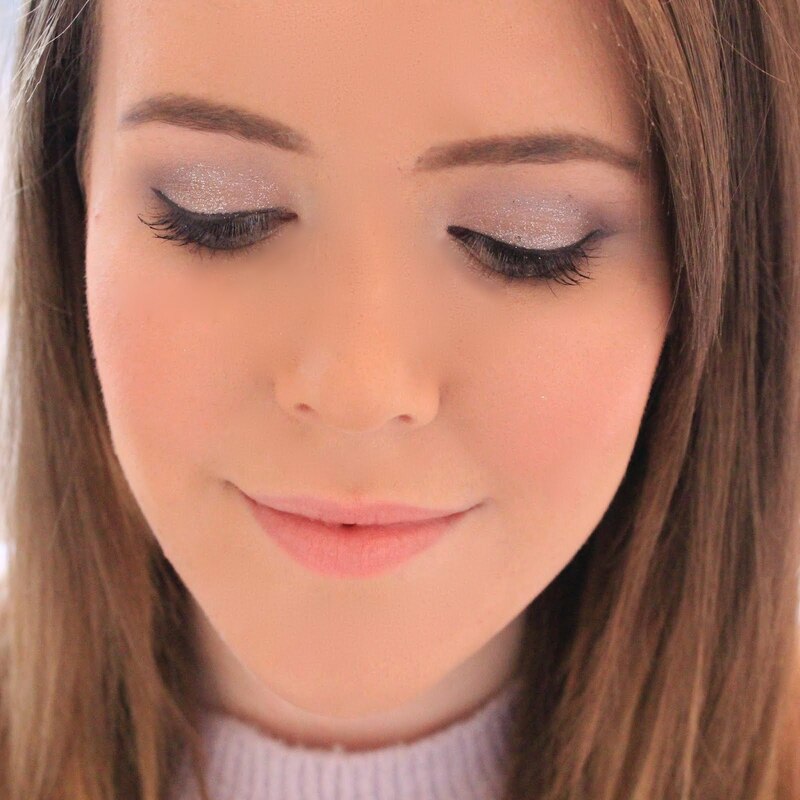 The best place I've found to purchase this in the UK is from Escentual, they seem to have the best prices for french skincare and makeup brands and are usually my go-to for these kinds of products. You can find the product on Escentual here. I've slowly been giving my skincare an overhaul recently, so expect a few more skincare type posts coming your way over the next few weeks, as I'm finally at a stage in my life where I can say I'm happy with my routine and it's really working for me! I have it also! Same skin, same problems and this really helps. I am so glad you love this! Actually the water is the only product I've heard of from them. Good to know the others hold up as well! I picked this up in Paris and It's been a great nightly staple. It's very cooling on the skin too and non-greasy. I love this product!